1. 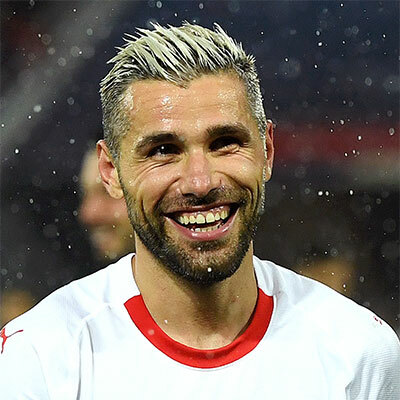 We love Valon Behrami’s hair! 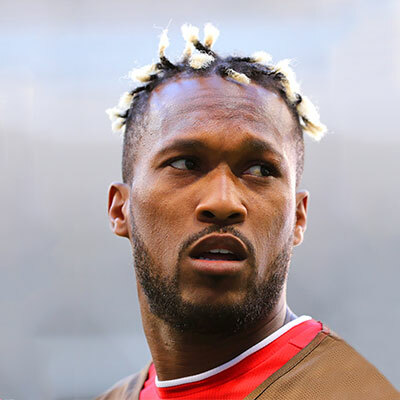 Player of Switzerland looks stylish sporting his dyed undercut hair during the team’s matchup against Serbia on June 22. The cut sported by him is termed as the Low Fade in the technical parlance for haircuts and male styling. It is a fade focusing more towards the neck. 2. 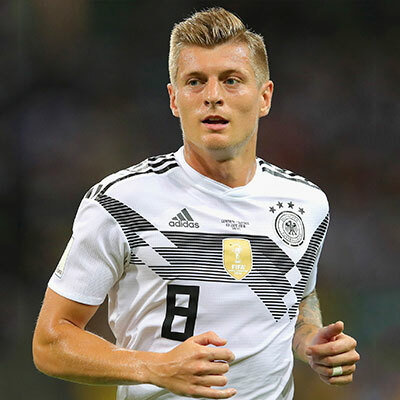 German midfielder Toni Kroos’ slicked-back-with-highlights cut gave us the feels! By far the most popular hairstyle of the World Cup has been variations on the high-and-tight do. A High Fade sported by him is kind of tapered hair cut in which the fade begins at a much higher area on the scalp and a thick bunch of hair is left on the top of the head which he can style any way he likes. 3. 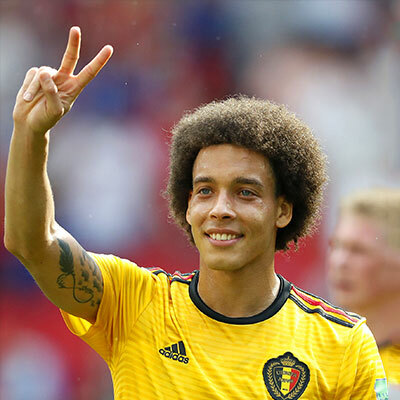 Axel Witsel, sports the simple old school afro for Belgium! He managed to pull this look by keeping his natural hair healthy, well-trimmed & shiny! Sometimes no effort is all you need. Axel is able to carry and pull of this in the best possible manner and is also possibly inspiring a host of male sports fans to try the look. 4. 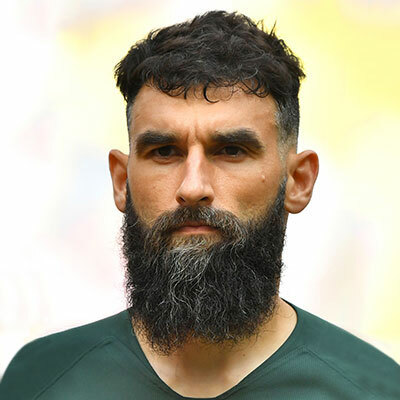 The Australian player, Mile Jedinak’s salt and pepper hair & beard gave us the vibe! Especially his hair’s well did sides! The Fade and the Beard have been recently the talk of the town for male grooming. The look by Mile is the perfect combination and synergy of both the trends. Way to go. 5. We can’t say no to a man bun! 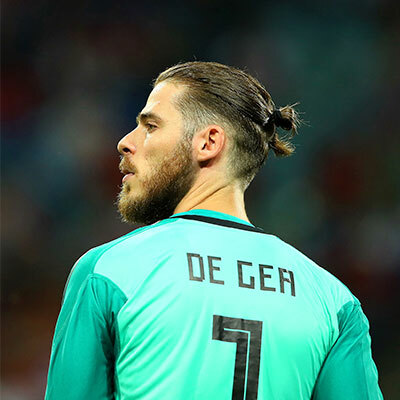 Spanish goalie David de Gea sports the mini-bun catching all the right attention for having one of the best hair do on the field! All that is needed here is to keep growing ones hair. One great way to wear it is to tie it up at the height that you feel comfortable with, giving yourself the ruffian or the rock star look that everyone would have considered at some point in time. 1. This one is a no go for us. Kendall Watson and his bleached tips gives us the cringe! Not to mention the damage this caused his precious locks! We suggest the Costa Rican defender find another inspiration for styling. A lot of products do tend to push us to hair concerns like thinning or damage as well when the bleach is tried for a longer duration. The best to do is to have the least of experimentation with harsh products. 2. 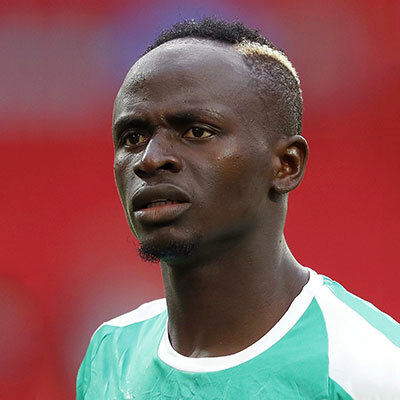 SadioMané of Senegal is sporting a bleached strip on his hair and we would advise against this! To the amount of hair he has left he should avoid chemically treating his hair and instead focusing on getting them healthier! 3. 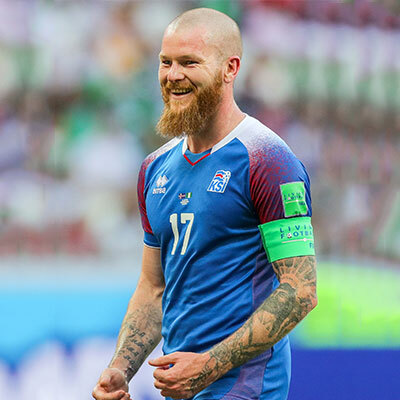 Midfielder and team captain of Iceland, Aron Gunnarsson, would rock that beard better with a full head of hair! The bald look may or might not suit everyone’s facial cuts. Trust us, we know! 4. Running on the field and sweating constantly while sporting a dreadlock? It isn’t a good idea. 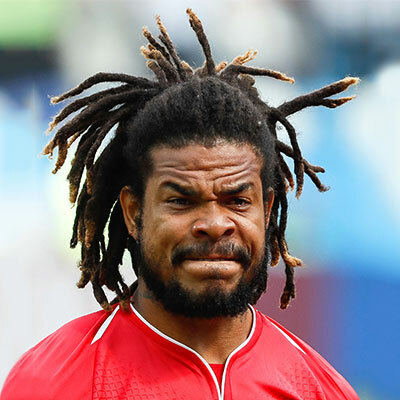 Roman Torres the Panamanian Defense player sports this look and we wonder how well he can take care of it. With dreadlocks, due to washing being so tedious people resort to washing their hair after very long intervals and this can cause itching due to dandruff, unpleasant smell, or even mold or mildew growing in the dreadlock because the hair does not dry fast enough. 5. 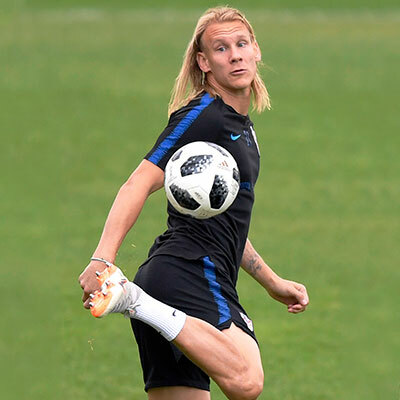 When Twitter attacked the Croatian defender, DomagojVida, when debuting with his long sleekhair widely called “China Qing Dynasty”, we agreed! He definitely needs styling and we don’t mind doing it for him!